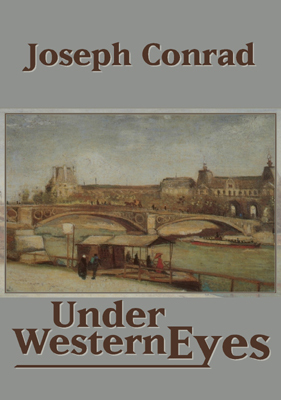 Under Western Eyes, Conrad's novel of political treachery and oppression, begins with a bomb that kills a hated Russian minister of police, along with innocent bystanders. A young student named Razumov hides the perpetrator, then betrays him and becomes a spy among his exiled comrades. He faces a moral dilemma from which there is no escape. This masterwork, published six years before the Russian Revolution, is a chillingly accurate prophecy of what was to come. This is one of the few Joseph Conrad books I have not read. I enjoyed it very much. It has strong similarities to Lord Jim and Secret Agent. Toward the end I imagined I could see the inevitable conclusion. Conrad fooled me. I was definitely off base. The end is as it should be and is masterful storytelling. The narrator's voice fits the story well.